Let us help your Children get ready for St. Patricks Day by joining us for an afternoon of visual arts, music and the Irish Language. Our creative teachers and volunteers will lead a number of classes for children in art & music. While the teachers incorporate the Celtic theme while exploring the oldest of Irish legends and folklore in preparation for St Patrick’s Day. 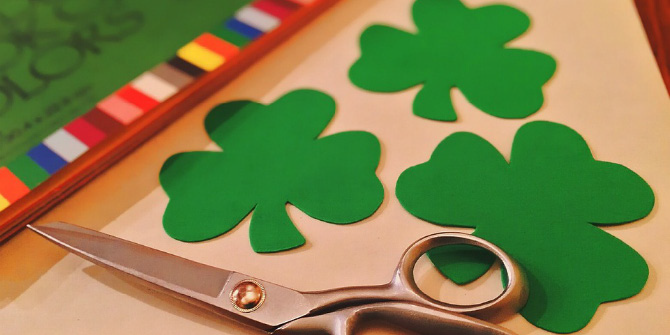 With two workshops in visual arts and Irish Language to make sure that everyone has a custom made St. Patrick’s Day Badge and has a cupla focal for St. patrick’s Day. We're looking forward to seeing you here again at The New York Irish Center.